Formulated without 11 harmful ingredients. 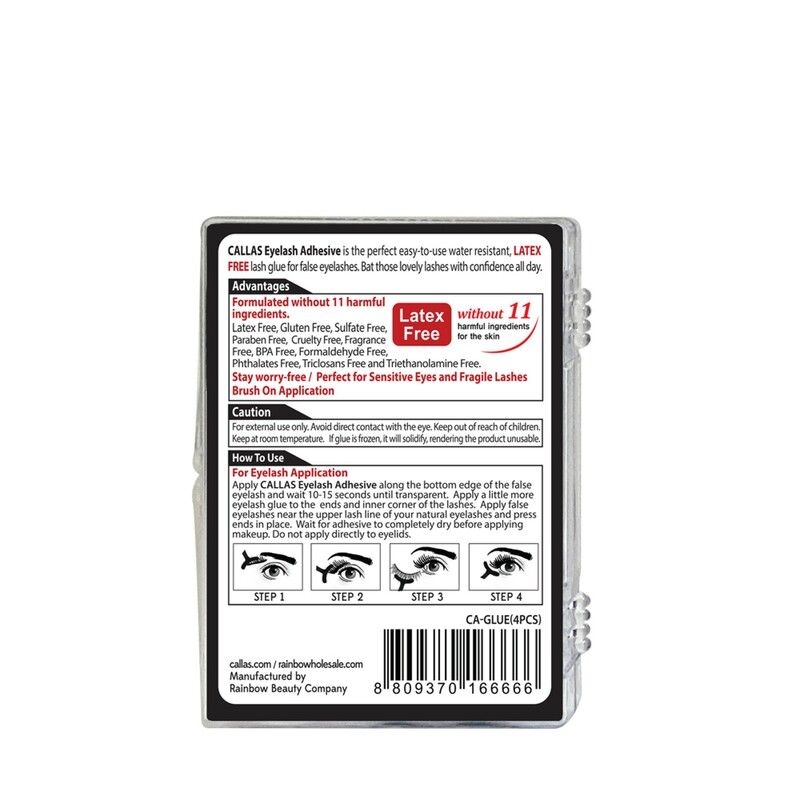 Latex Free, Gluten Free, Sulfate Free, Paraben Free, Cruelty-Free, Fragrance-Free, BPA Free, Formaldehyde Free, Phthalates Free, Triclosans Free and Triethanolamine Free. For external use only. Avoid direct contact with the eye. Keep out of reach of children. Keep at room temperature. If the glue is frozen, it will solidify, rendering the product unusable. 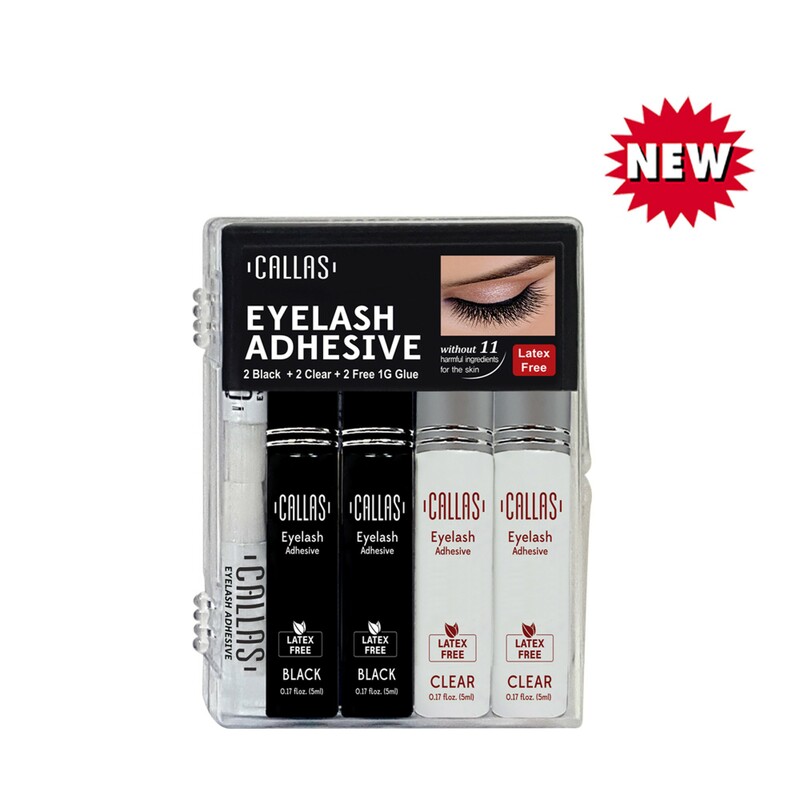 Apply CALLAS Eyelash Adhesive along the bottom edge of the false eyelash and wait 10-15 seconds until transparent. 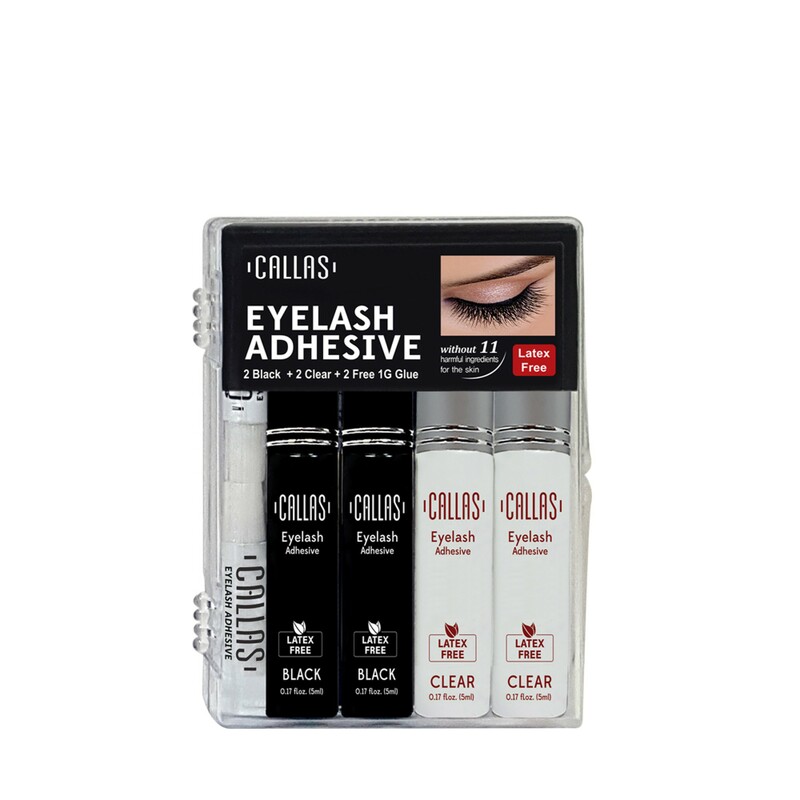 Apply a little more eyelash glue to the ends and inner corner of the lashes. 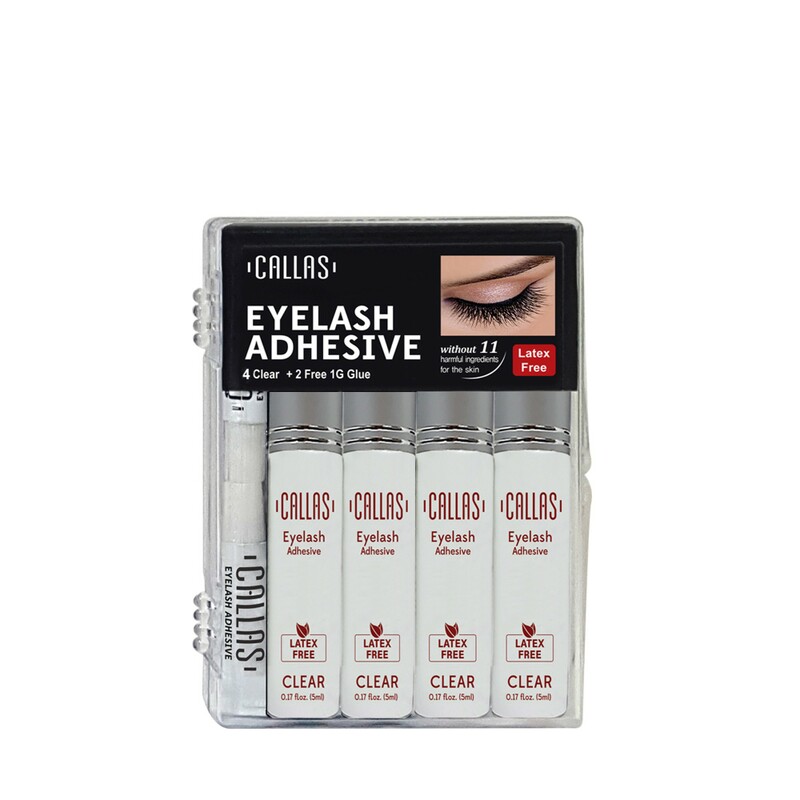 Apply false eyelashes near the upper lash line of your natural eyelashes and press ends in place. Wait for adhesive to completely dry before applying makeup. Do not apply directly to eyelids. 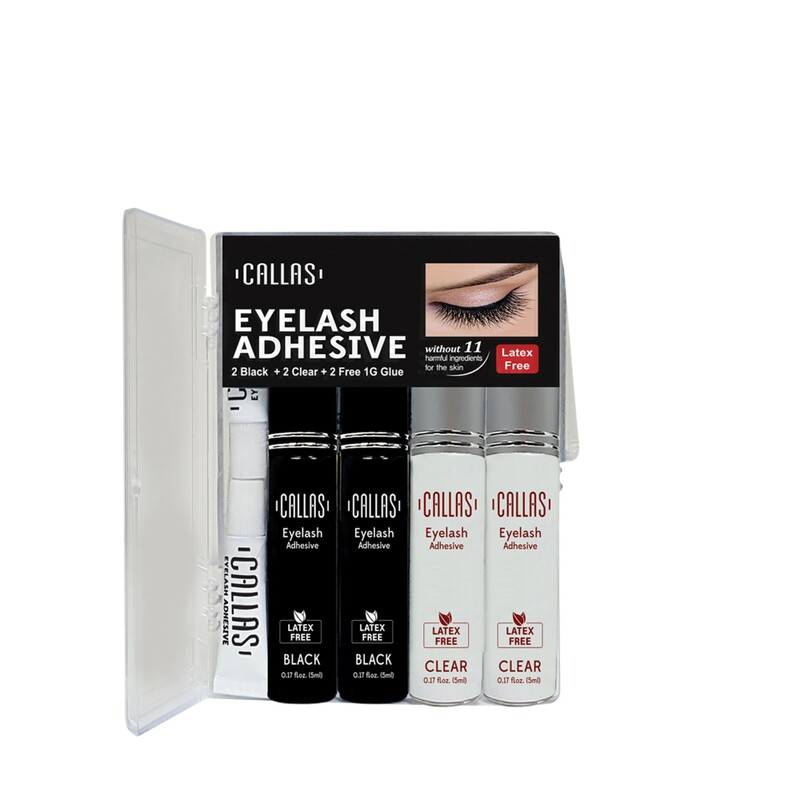 CALLAS Eyelash Adhesive is the perfect easy-to-use water resistant, LATEX FREE lash glue for false eyelashes. 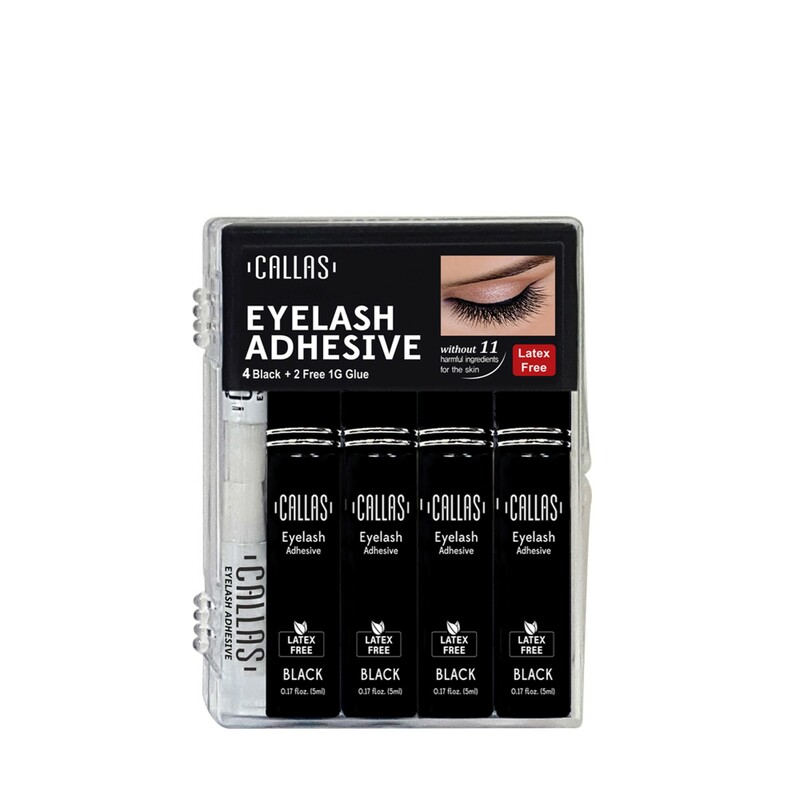 Bat those lovely lashes with confidence all day.